The sumptuous, Freefuerte oval shaped freestanding two piece bath with surround which will act as an eye-catching centre-piece to any contemporary bathroom. Pair with a luxurious floor-standing bath filler. 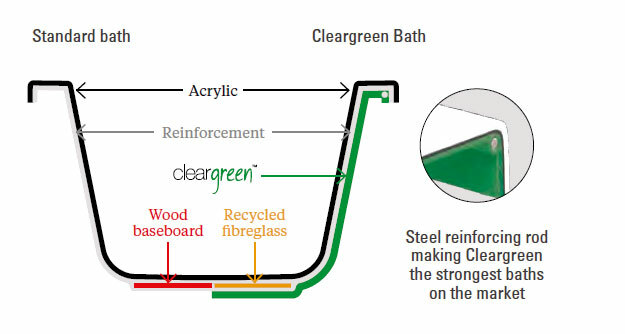 The Cleargreen range of baths are all engineered to provide well constructed rigid baths to provide a lifetimes use and all are manufactured to produce a greener product using 30% recycled material. 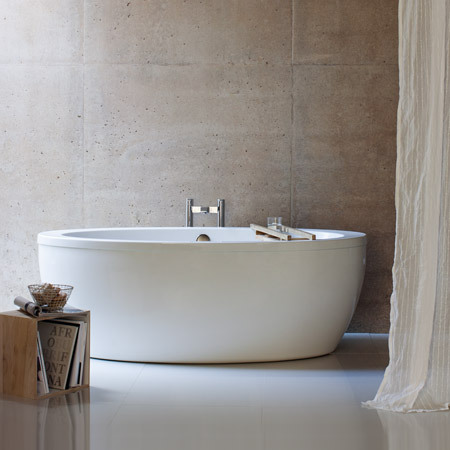 They are built with unique reinforcing to make a stronger bath capable of withstanding an enormous weight of 2.3 tons. The baths also retain heat for 30 minutes longer and steel re-inforcing rods within the bath rims make Cleargreen baths the most rigid on the market. Built stronger to withstand 2.3 tonnes! Please Note - Any taps, wastes or other items pictured are not included (sold separately).